One day, perhaps, brave astronauts will set forth to colonize the planet Mars. However human colonies can't be sterilized in the way a rover can be, so they may conflict with the desires of astrobiologists to keep Mars biologically pristine. Would be colonists can find this hard to understand. What is so special about an apparently lifeless or almost lifeless planet? To understand why many scientists value a pristine Mars so much, we need to look into its geological history. It seems likely that Mars had extensive oceans during its earliest Noachian period, which lasted for a few hundred million years. Its oceans almost certainly contained many organics from comets just as for Earth. All this suggests that for several hundred million years, Mars was a near twin of Earth. Life started on Earth within 700 million years of its formation, not long after the end of the late heavy bombardment period. These earliest years on Earth are of intense interest to scientists reseraching into origins of life, but sadly there is little by way of direct evidence from those times. Perhaps Mars gives us a second chance to study the origins of life? Since it started so quickly on Earth, perhaps it started on Mars equally quickly? Or it could be that life never started on Mars. If so, it is of intense interest to find out how far it got and why it didn't evolve life. What happened to all the organics from the comets? Were there forms of proto life? For instance, were cells able to metabolize and eat food, but not yet reproduce? Were any alternative pathways to life explored, unsuccessfully? This might tell us something about what happens on other planets in our Galaxy, and give a new perspective on the process of evolution. After the initial stages Mars followed a different path from Earth. It lost nearly all its atmosphere leaving an atmosphere so thin it would count as a laboratory vacuum. It cooled to the point where the average temperature at the equator is the same as Antarctica and the temperature swings are far greater than in Antarctica. This makes it inhospitable to most modern Earth life. Yet it might not be totally hostile to all Earth life. There are locations on Mars where temporary droplets or thin patches of water or salty brine could provide the conditions needed for life. Some lichens from arctic or alpine permafrost on Earth might be able to survive on the surface, using the brief morning and evening dews. For more about this see my post Might there be Microbes on the Surface of Mars? One major difference from Earth is that Mars had no continental drift, or almost no drift. The entire surface of Mars is pretty much as it was when it first lost its atmosphere. Any early oceans dried up in situ. Oceans that were separated from others, never joined up or were disturbed in any way. That's why Olympus Mons got so large. Without continental drift the hot spot that formed the volcano simply stayed in one place for billions of years and created a volcano far larger than any on Earth. After the Noachian period, there was a period of great floods and massive rivers called the Hesperian period which created huge deposits such as Mount Sharp. The entire 5.5 km high Mount Sharp at the Curiosity landing site is believed to be a massive pile of debris left from early floods on Mars. Mount Sharp. The whole of this mountain may be a pile of debris left from early floods on Mars. It has been there unchanged ever since, since Mars has no continental drift, or seas or rain. And then all the action stopped, the oceans dried up, the rivers dried up and apart from the occasional impact that created craters and local flooding, Mars became what it is today. You get changes of the axial tilt over periods of millions of years. Sometimes the polar caps are larger. Sometimes the air is denser and when that happens there may be patches of liquid water in the deepest places on Mars. But by and large, there are no large scale changes for millions of years. All the deposits from the early oceans, rivers and floods on Mars are still just there as they were left, waiting to be studied. The permafrost layer is just a few cms deep. Temperatures stay well below zero a short way below the surface. There are few volcanoes, none currently active. There is no continental drift to subduct the materials below the surface and metamorphize them. Only cosmic rays can disturb it, and if you dig down ten meters or so you get well beyond the reach of them. The air pressure is so low that ice sublimes easily, but apart from that, conditions are perfect to preserve organic material from those early days. Scientists are particularly interested in clays on Mars such as nontronite, and also sulfate materials which are known to be capable of encapsulating organic materials and preserving it for extremely long periods of time. The Curiosity landing site was chosen partly because of the presence of these materials there. See for instance this transcript of an interview with Jennifer Eigenbrode about Biogeochemistry with Curiosity. We haven't begun to study this material on Mars. No mission to Mars to date has been able to dig significantly below the surface. Nothing we sent is powerful enough to see micro-organisms in any detail, living or fossil, most would be too small to be seen at all (except for the electron force microscope on Phoenix, somewhat limited in what it could do). There are expeditions on the drawing board that will take more powerful instruments to Mars, such as miniature scanning electron microscopes, sensitive biosignature detectors, and miniature DNA sequencers. Also there are planned missions to dig many meters below the surface. But it will be for some years yet before they launch. Dry valley in Antarctica. Though a tough place for humans to live, it would be much easier to colonize than Mars. It is kept pristine through the Antarctic Treaty and international agreement. Yet, everyone agrees that Antarctica is so valuable to science that it would be a tragedy to colonise it and make it into just one more human living area on Earth. Tourists to Antarctica are carefully supervised to make sure they take no new species to the continent, for instance on their boots. Mars is potentially of far far more interest for science than Antarctica. Let's see why that is. Instead of tiny fragments in later rocks as we have on Earth, we have multiple kilometer thick deposits to examine on Mars. It's possible that life began several times, and that the life currently on Earth is the most successful or latest of those experiments. If so then Mars may have evidence of several occurrences of abiogenesis. Also, what if some of the smaller oceans of of early Mars were separated from each other? If so - perhaps they never merged or interacted because of the lack of continental drift. It's a lot of ifs, but if that did happen, perhaps we can explore these independent oceans of early Mars to see if abiogenesis followed similar paths in each or different paths. Perhaps this might tell us something about how much it depends on lucky accidents, and to what extent it is inevitable and must happen on almost any habitable planet. There may be evidence of the stages before life. The earliest life on Earth is already so complex that it is extremely hard to understand how it arose. There are many competing theories of Abiogenesis (formation of life) and the precursors for life itself. But there is no consensus, as there is no way really to distinguish between them using the geological record on Earth. See the Wikipedia article on Abiogeneisis for an idea of the vastness of this subject. Study of life, proto life, or whatever there is on Mars in those deposits will shed light on that area of scientific knowledge and understanding, in ways we can't do on Earth, because the evidence no longer exists here. If life never evolved on Mars, we may still expect to find nanobes (just 20 nanometers in diameter) or other protobionts. Some form of complex structures like protobionts are likely to be there since on Earth they form in simple laboratory experiments simulating conditions on early Earth. It seems at least possible that on Mars there is nothing to transform the early remains If we dig deep enough on Mars, below ten meters or so, so deep enough to avoid the degradation you get over geological timescales due to cosmic radiation, we may well find pristine preserved organic remains from those early years. What if Mars never had the ingredients of life, perhaps our models are all wrong about early Mars? This too is fascinating for scientists because of the similarity to Earth. One thing you could do is to compare processes that happened on Mars as a lifeless planet with the same processes on Earth as a similar planet with life. Many people feel it is wrong in some intrinsic way to let blue whales, rhinos, tigers, pandas etc disappear into extinction. Should we feel the same way about any unique species of life there might be on Mars? The chances are it would only be microbial life - but it could still be unique to Mars - does it then have intrinsic value because of its uniqueness and its habitat? Also is there any intrinsic value for uninhabited beautiful places in our solar system as well? You might feel, for instance, that there is some intrinsic value in preserving Mars as it is, with all its myriad complexities of terrain as observed from orbit and by our rovers. Those are just questions to think about. I won't attempt answers here. They could lead to lively discussion. For a starting point you can try Paul York's Ethics of Terraforming from Philosophy Now. What if Mars is already contaminated? It is certainly possible that life from Earth has already started to thrive on Mars brought there by our spaceships, due to many mission mishaps in the past. It's also possible that life was brought there from Earth via meteorites. 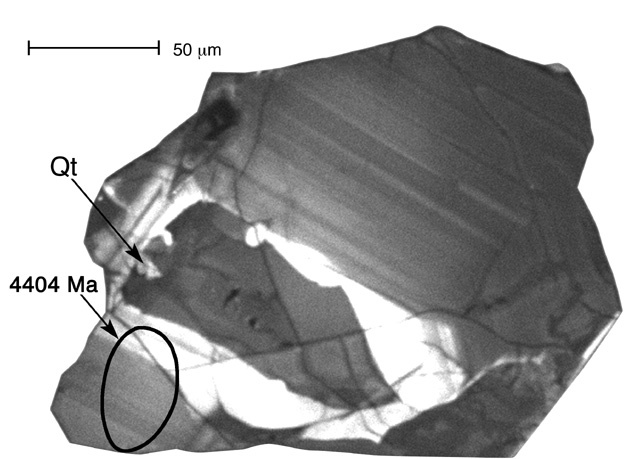 The exchange by meteorites is only possible during the larger meteorites of 10 km or larger, like the one that contributed to the extinction of the dinosaurs. Most of the material probably took millions of years to reach Mars, but it could have happened, and some of the debris could reach Mars within a hundred years of the impact. It is thought that some of the debris from this impact reached Mars, which gives a possible way to transfer some microbial life to Mars. Whether life got to Mars on our spacecraft, or on debris from a giant meteorite impact on Earth, it is likely that only a small number of species have survived the transition. Adding more species greatly complicates the search for the origins of life. If biologically similar it makes it hard to disentangle the history and figure out which organisms came from Mars originally, especially since introduced life is likely to evolve and radiate adaptively on Mars. Introduced life could also out compete native Mars life. Life that evolved on Mars may not be as well adapted for Mars as Earth extremophiles, despite their billions of years of evolution. It could be a similar situation at the microorganism level to introducing rabbits to Australia, causing devastating effects on the microecology. 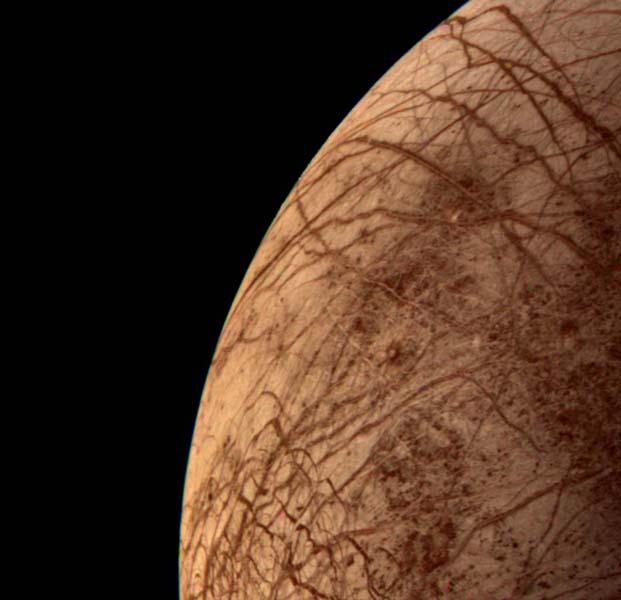 Yes there are other locations in our solar system where liquid water exists to this day. These may possibly have life in some form or other to this day, for instance in the under surface oceans of Europa, one of Jupiter's moons (to right); or Encladus, one of Saturn's moons. But none of them remotely resembled Earth in its early years or have the same promise of offering insight into the past of our own planet. 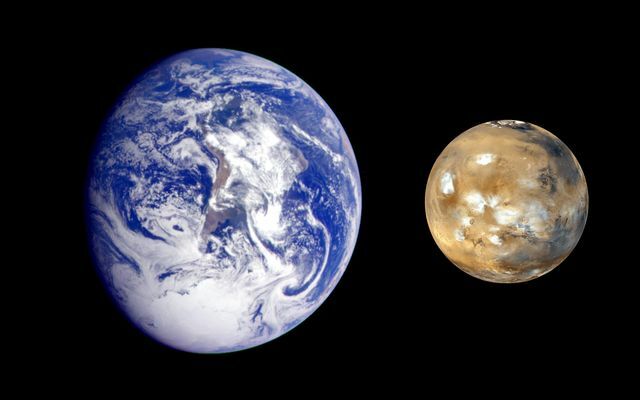 Mars is the only near twin to Earth. Venus is another candidate for an "Early Earth twin", as it may have had oceans in the past (and a remote possibility, it could have life to this day in the clouds high above the hostile surface conditions). However, due to its runaway greenhouse effect the surface is extremely corrosive and harsh, raining sulfuric acid. There seems next to no hope of finding out much about abiogenesis on the surface of Venus. At any rate, it has nothing like the potential of Mars. Perhaps there are other solar systems with Mars like planets, but if so, they are light years away. Any robotic explorer to visit them would be extremely expensive and would take centuries to get there most likely. Mars could be of immense importance not just to science but also medicine, nanotechnology, materials science. You simply don't know what the range of applications could be. So much of our technology began as living products or uses living products in one form or another. Medicine directly uses many forms of life. Many materials we use in our daily life, including things we think of as non living such as plastics are actually made from products such has oil and coal that were once living organisms. Take away the products of life and there would be little left of all our vast technology. Life processes are also used in manufacturing, in many ways, and for food. Also, life's solutions to problems through evolution have inspired many engineering innovations. So it is possible that the knowledge we will gain through studying a pristine Mars, through a increased understanding of Abiogenesis will lead to breakthroughs in technology, medicine, nanotechnology, and many other areas of science. This is not something that will happen overnight. You need to be patient with scientists. Great scientific discoveries generally take decades, and often generations of scientists, to come to fruition. By contaminating a currently pristine or almost pristine Mars you throw away all that knowledge, possibly without knowing what you have lost. We only have the one Earth, and similarly, we only have one Mars in our solar system. Once it is contaminated, the previous pristine Mars is lost forever. Later once we have an extensive understanding of the planet we can decide whether it is important to keep it pristine or if it is okay to terraform it or colonise it. But at our current stage of knowledge, can anyone say they know enough about Mars to say for sure that it is a wise decision to let it be contaminated? If we don't go now, will we ever do it? Enthusiasts for Mars surface colonization often say this. They often treat it as if colonizing Mars is an intrinsic good, that we have to do it. But as actually in terms of space colonization there is far more room to expand in free flying space habs or orbital colonies than on the surface of Mars. On the surface, you might have billions of colonists eventually. In space and in orbit there is enough material in the asteroid belt to make habitats for trillions of colonists, and likely for lower cost per person, due to the high costs and technical challenges involved in transfer of people and supplies to the Mars surface. The potential for in site resource utilization seems similar with some asteroids rich in ice, it is also possible that there might be ice in the Moons of Mars. In both cases you need spacesuits to work in. You have gravity on the Mars surface but the Moon also has gravity, and a spinning habitat will also have artificial gravity. In the future when space colonization is commonplace, it will probably seem bizarre that the surfaces of planets were considered so important for colonization in the early 21st century. Mars is far from easy to colonize, with its almost vacuum atmosphere, the distance from Earth (first space colonies can be set up in orbit around Earth or the Moon), the dust storms that blot out the sun, and the extreme cold, at night getting much colder than Antarctica. In both cases colonists are completely dependent on technology to survive. The Moon is more accessible and also more hospitable and safer than Mars, especially after the probable discovery of water ice at the poles of the Moon. The same applies for orbital colonies around the Moon or Earth with centrifugal living quarters for artificial gravity (such as the Nautilus X design). This is a simple way to achieve gravity for sleeping quarters. The same idea scaled up gives orbital colonies with full artificial gravity such as, eventually, the Stanford Torus. Mars is a natural target for adventurous astronauts who may set up a small colony in orbit around Mars. Humans have a great advantage on Mars, that they can operate the machines on the surface in near to real time. But with the use of telerobotics, it hardly makes any difference if you do that from the surface or from orbit, and the orbital location costs less to get to, and gives easy direct access to the whole planet on every orbit. How long before we can know it is safe to colonize Mars? You need to explore at least several examples of all the significant possible habitats for present day life on Mars. This might well involve sending sensitive instruments to Mars capable of picking out the interesting samples from similar samples without any life. You need to dig deep into the deposits and the ice caps, not just meters but hundreds of meters. This is possible, there have been studies of ways of doing this robotically and especially with pioneers operating the machinery via telepresence in orbit about Mars, it can certainly be done. You need to study deposits from early Mars to see if you can find signs that life ever evolved there in the past. At this stage you may have a pretty good idea of whether life ever evolved on Mars, and whether it still surives. You can't be totally certain because there could be isolated relic populations or interesting evidence at just one location on Mars (like e.g. the Dawn Redwood on Earth). But you could hope to know enough to have an informed debate about what to do next. As for the timescale for all this, who can tell? The pace of scientific study and progress is hard to predict. A telerobotic mission in orbit around Mars together with a large number of telerobots on the surface could find out vast amounts of information in a few years. When all that is done then we will be in a position to have an informed debate about how to deal with Mars - whether it is best kept pristine like Antarctica, or terraformed first remotely seeded with oxygen producing organisms keeping aerobes well away from the planet, or simply colonized as is. I will probably be on the side arguing to keep it pristine for longer (if I am still alive that is). Others may argue on the other side. It also needs to be left until enough information is needed to make a decision. Meanwhile we will find out if indeed we do have the beginnings of this stream of scientific knowledge from Mars and should begin to feel its benefits. Also the first space colonies will already exist and their potential better understood by humans generally. At that stage we will be able to make a better informed decision and will be able to truly understand, at least a bit better, the current and potential future value of Mars. This debate is something that shouldn't be decided by scientists, no matter how well informed. It shouldn't be decided by colonization enthusiasts either, and no-one should pre-empt it by simply mounting an unauthorized mission to the surface of Mars. It is something that needs to be thought out and worked out publicly, because the outcome is irreversible, and affects the whole of humanity. Projects like Mars One, with a small change, emphasis on orbital missions to Mars, could be part of the process of scientific discovery and progress leading to this decision and make it possible to decide sooner in an informed way. These projects could also be part of the great exploration of Mars via telepresence - driving vehicles, digging into the deposits, exploring all the niches and different regions on Mars. Also building the space habitats in orbit around Mars. The great debate could also lead to intermediate solutions. If Mars is biologically pristine, or capable of being sterilized of the effects of our missions so far, we have many possible options available. Mars could have factories on the Mars surface. These could supply fuel and other materials to orbital colonies around Mars or indeed to Earth orbit, as well as supplying fuel and materials for repairing and constructing rovers and robots on the surface. Many factories on Earth are operated mainly remotely with hardly anyone or no-one on the factory floor. These could be operated on Mars just as easily from orbit. This leaves Mars biologically pristine, so retains its value for the study of life and the origins of life. Such telepresence operated factories could be started under the current international space law, so long as the planet is kept contamination free. Mars could also be Mars formed, made clement for Mars native organisms, if these exist. If life did evolve there, it could be warmed up to see what the ancient habitats were like in action, reviving relics of the old days, like planting dawn redwoods on Earth. Mars could be sterile, no life on Mars, no interesting abiogenesis. We have an Earth like planet, in its early years, but without life on it. On Earth then it is almost impossible to create an "uninhabited habitat" that lasts for any length of time. With Mars, we could have large areas of uninhabited habitats. This could be interesting to scientists to help us understand what difference life makes to our planet. It could be partly terraformed. You could introduce photosynthesizing organisms but no aerobes for instance. Since plant seeds can be sterilized, you can introduce plants to the surface too, in a controlled way, without need to introduce any new micro-organisms. Perhaps in the future, the surface of Mars could supply food, and other materials (e.g. wood, plastics, or oil), for the orbital colonies. Or it could be paraterraformed - covered with many domed greenhouses for growing food. This would probably work better and more quickly if there are no aerobes on Mars to consume the oxygen produced by the cyanobacteria and limited numbers of other forms of life to eat the cyanobacteria or compete with them. If we introduce life to Mars in an irreversible way, we narrow down the possible future options. A terraformed Mars maybe an issue if it depends on ecopoesis and careful introduction of micro-organisms in sequence. A paraterraformed Mars could also be an issue if the introduced life contaminates the water supplies on Mars, or in one way or anther causes problems for the resources needed for paraterraforming, or in the habitats themseleves. By keeping it pristine until the great debate, we leave all these options open for the future. Yes it would be an exciting day when the first human steps on the surface of Mars, and a matter of prestige for those concerned. This is something I have read about since a child, and would be as excited as anyone. But it might quickly change to dishonour if it is found that they introduced reproducing Earth micro-organisms to Mars. They might enter the history books as the people who contaminated Mars irreversibly. At the moment we simply don't know enough to know if this would happen, but some recent research into micro-habitats on Mars and UV resistance of micro-organisms suggests that Mars is slightly more hospitable than we used to think, and micro-organisms quite a bit more able to cope with conditions on Mars than expected. In short, it is a lot more likely that a human expedition could contaminate Mars irreversibly than it seemed a decade or so ago. Why not let those first steps be taken by a telerobot instead, operated by a human in orbit around Mars? Telerobots have many advantages over humans. They don't need spacesuits (can be operated from "shirt sleeve" environments on the spaceship), easily given enhanced vision, can be made any desired size, can be given super-human powers such as great strength or dexterity or the ability to fly. They are also inherently safer - if you get your telerobot into a dangerous situation on Mars, the worst that happens is you lose the rover, not your own life. The main thing they lack is dexterity but this is rapidly improving with advancing technology. They are used for telerobotic surgery and deep drilling and many applications. NASA organized a recent telerobotics conference in 2012 and the conclusion of the conference was that telerobotics has great potential value for Mars exploration. The conference recommended their use during early orbital missions to Mars by humans, saying that a great opportunity would be missed if telerobotics was not used. But - why not just use telerobots from now on until we are sure of what we want to do on Mars? 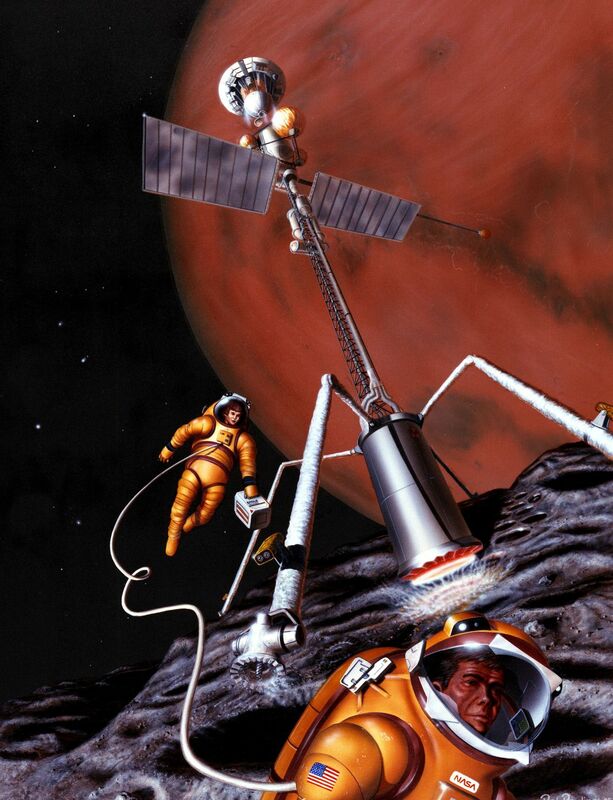 Advocates for Mars surface colonization often talk about the inspiration of a human surface mission. But we have seen from the rover missions what fondness the general public have in their hearts for our robotic emissaries on Mars such as Pathfinder, Spirit, Opportunity and now Curiosity. I am sure this would apply even more so to telerobots on the Mars surface operated by humans in orbit around Mars. For many I think that telerobots on Mars would be more exciting and interesting than a surface mission, especially if the reason for it is also well understood. What if the decision is to keep Mars biologically pristine for ever? What if we find independently originated life on Mars, or amazingly interesting evidence of early stages that almost reached life but not quite? Should we leave the planet pristine to avoid contaminating it? I would say why not? Let's go all the way to Mars, and set up colonies in orbit around the planet, but never set foot on it at all, to avoid contaminating it. It is a bit like mountains that are left unclimbed out of respect for the mountain or local beliefs. Not too many of those but the mountains in Bhutan over 6000m are unclimbed. 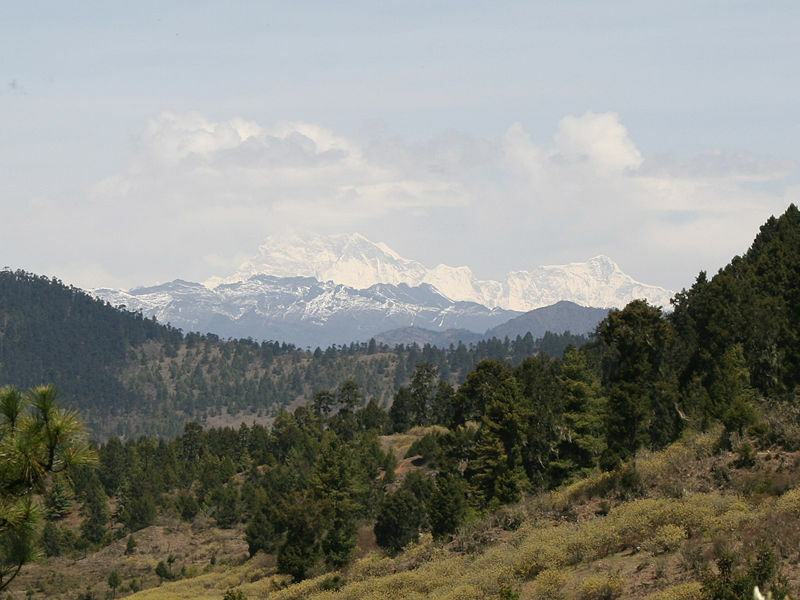 This is possibly the highest unclimbed mountain in the world Gangkhar Puensum with an elevation of 7,570 m. All mountaineering is prohibited in Bhutan since 2004 out of respect for local religious beliefs. This would be a future where you have agile rovers on the surface. and increasingly sophisticated humanoid avatars on the surface as well, directed and teleoperated by colonists in orbital colonies. It is a future where the Martian past and present turn out to be amazingly interesting, so much so, that humans never land on the surface in person, in their physical bodies, to preserve a biologically pristine Mars. I, for one, would find that an inspiring future to live in.